Aspen seems to have become synonymous with great skiing, because this Colorado mountain town is now considered one of the best ski destinations not just in the country, but also in the world. In addition to its top-rated skiing, Aspen boasts a beautiful village, where you can enjoy great dining, shopping, and nightlife. From its breathtaking natural surroundings to its abundance of outdoor activities and entertainment options, there's certainly never a dull moment in Aspen. This Colorado hotspot has something for all types of visitors, from families looking for a great kid-friendly getaway to couples searching for a bit of romance and luxury in the mountains. 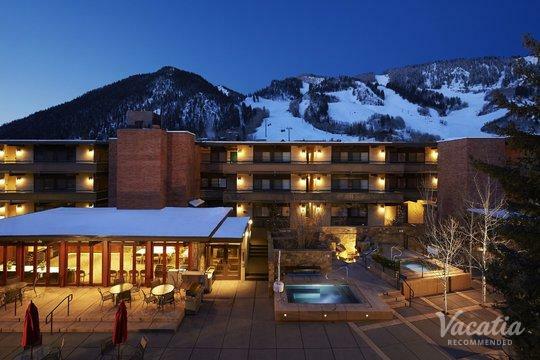 So if you want to make the most of your stay in Aspen, let Vacatia simplify your vacation planning process by providing you with an exceptional selection of Aspen Mountain resorts. You're sure to find your dream mountain vacation rental when you browse Vacatia's carefully curated selection of rental properties, which means that you'll be able to make lasting memories in this heavenly mountain setting. Aspen, Colorado has long been known as an exceptional ski destination, as its location in the Rocky Mountains provides it with some of the best runs in the country. This legendary ski spot has hosted World Cup races and numerous ski competitions, but there are also plenty of runs that novice skiers and snowboarders will love. If you want to make the most of your ski trip to Aspen, you should book your stay at one of the best Aspen Mountain ski resorts available. To stay at one of the best resorts in this popular ski spot, simply browse Vacatia's impressive selection of vacation rentals. Vacatia can ensure that you stay at a quality resort near Aspen's ski resort, where you'll be able to enjoy some of the world's best skiing. Not only does Vacatia provide travelers with rental properties in great locations, but it also ensures that you have enough space and comfort to make you feel right at home. Every Vacatia rental property provides extra space and some of the best conveniences of home, such as a fully equipped kitchen, where you can whip up breakfast before hitting the slopes. 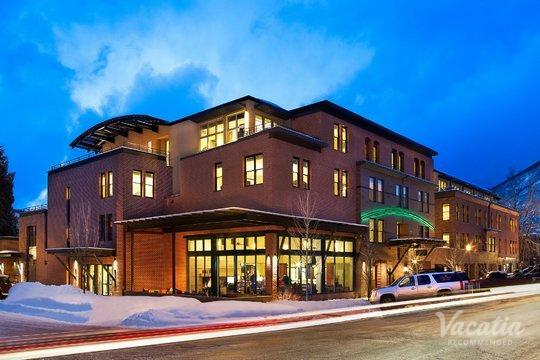 So to find the perfect home base for your Aspen adventures, simply choose to work with Vacatia. Once a silver mining town, Aspen is now awash in luxury and is considered one of the most desirable mountain destinations in the country. This popular winter destination is home to four major ski resorts: Aspen Mountain, Aspen Snowmass, Buttermilk Mountain, and Aspen Highlands. There's great skiing for every level of skier in this majestic mountain destination, which also boasts a charming downtown and a number of luxury resorts. From strolling through the idyllic downtown to flying down the snow-covered slopes, you're sure to find every moment of your stay in Aspen exhilarating. To ensure that your time in Aspen is truly unforgettable, let Vacatia help you find the perfect home away from home in the beautiful Colorado Rockies.